Pssst - lean in and listen closely! 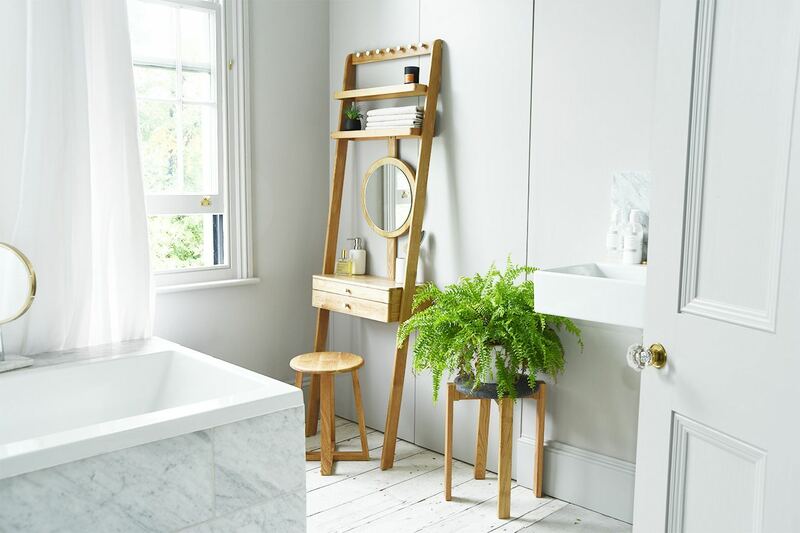 Our stylishly svelte Oak Leaning Mini Dressing Table has had a refresh. We've plumped for a soft and discreet makeover, and the overall finish is more rounded along the edges so it's easier on the eye. 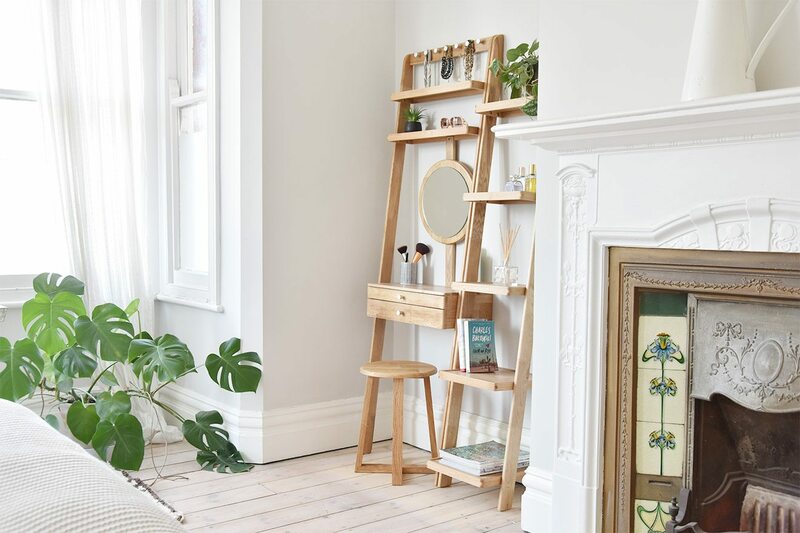 What's more, our new-look version features shelves made from a veneered oak panel with solid oak trim and drawer front - so the fittings are hidden once the dressing table is built. To top it off, all wood and veneer is protected by a robust and hard-wearing matt lacquer. Lean and lithe, at just 55cm wide, this pretty piece is cleverly designed to squeeze into the tightest of corners. 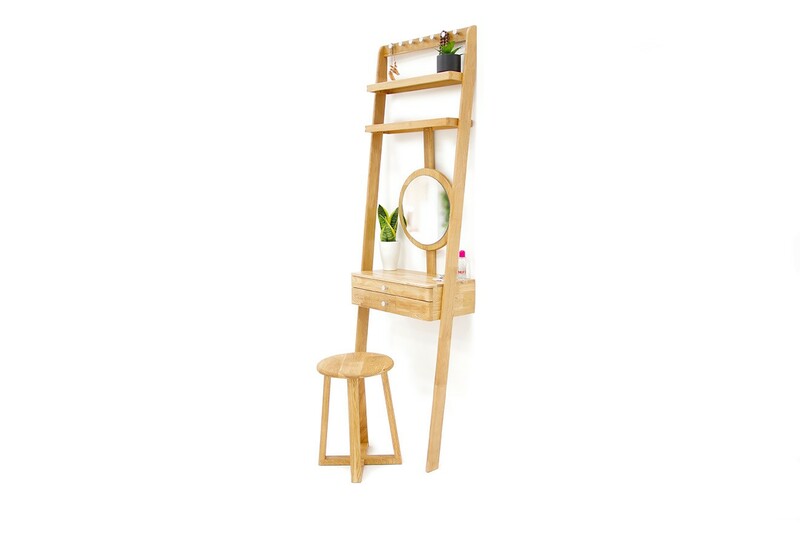 What’s more, the mirror can be adjusted to accommodate any height. 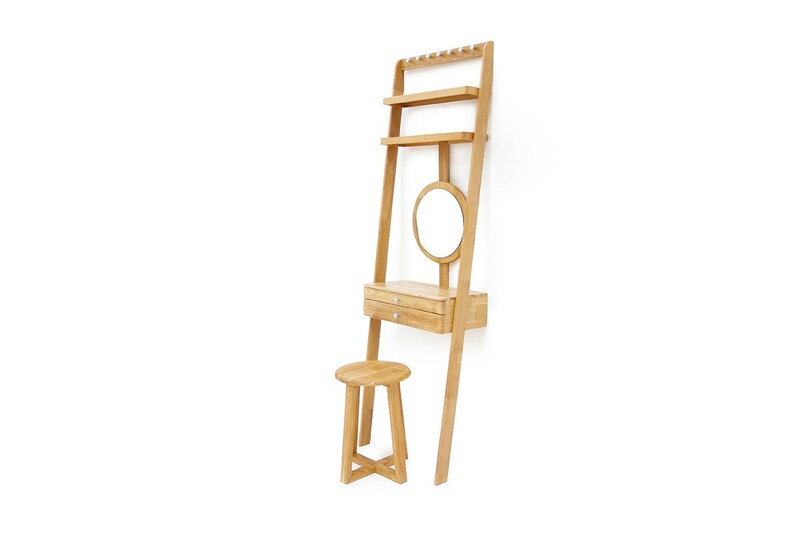 Made in solid oak and oak veneer, with a matching stool available too, it cleverly combines sleek practicality with a small footprint. Simply lean against the wall and move when you're in the mood for a change around. Supplied with non-slip silicone pads for top and bottom, this versatile piece is landlord-friendly and doesn’t need to be fixed to the walls (though there’s a discreet wall screw too – just in case you have two or four-legged friends running around)!